If you want to go on a picnic but can’t be bothered organising the food, drinks and blanket, look no further than STORE Espresso. 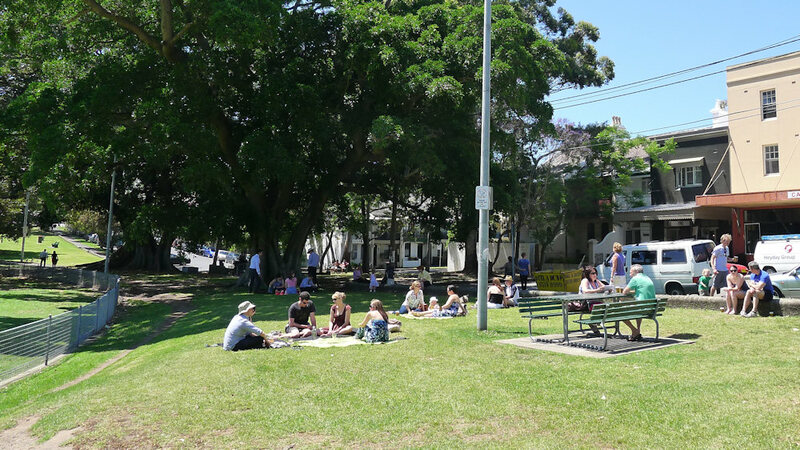 It’s located next to Camperdown Park, just off Parramatta Road in Sydney’s inner west. If picnicing isn’t your thing, they also run a traditional café-style set up with limited seating inside and out. As the sun is shining and the birds are chirping, we opt for the picnic option. The staff offer to take our order inside the café or from the park which makes it very easy to relax. Our drinks arrive slightly cold, however we’re too relaxed to care. 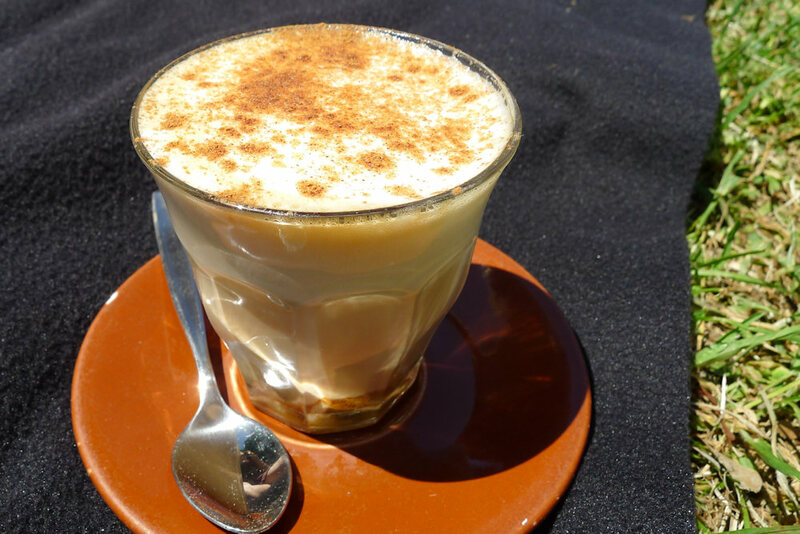 The coffee tastes good but the chai latte powder has stuck to the bottom of the glass and hasn’t quite dissolved. Behind the counter inside is an automated orange juicer so we put it to use. Fresh orange ($5) or blood orange ($6.90) is available. 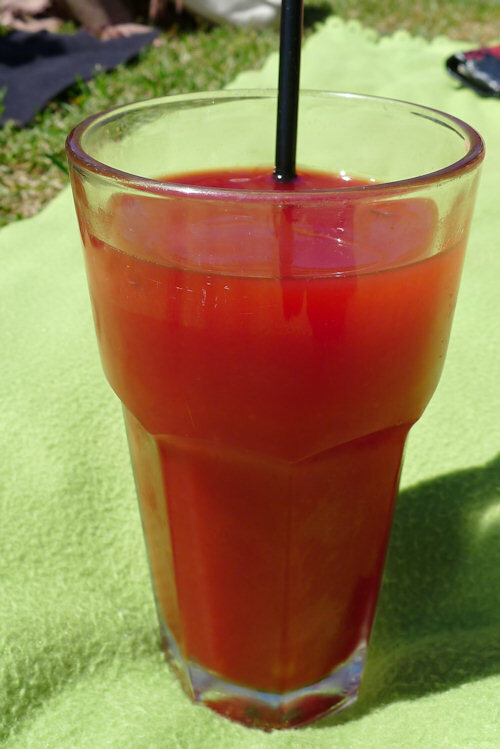 We enjoy the latter which is chilled and contains nothing but fresh, pure juice. 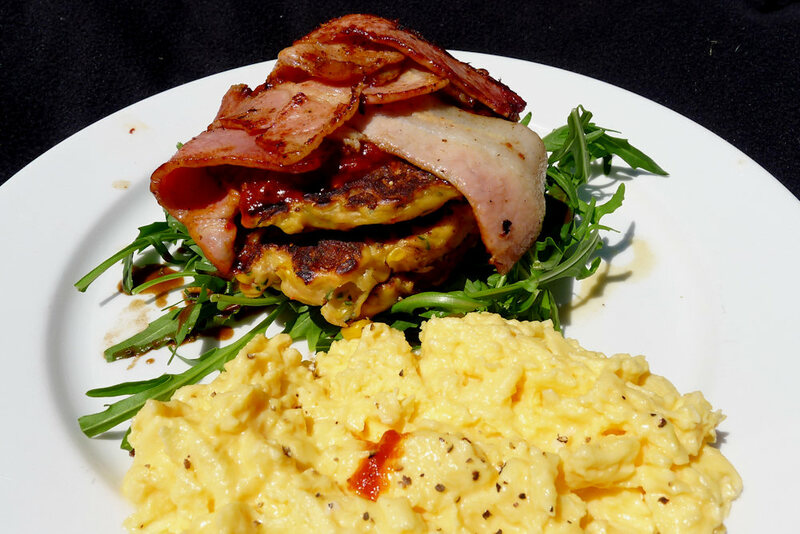 The corn fritters, bacon, relish and wild rocket ($11) side of eggs ($3.50) is a big hit. The corn fritters are moist and tasty, not cakey or dry like others we’ve had before. Other sides include: bacon ($2.50), Jamon ($3.50), smoked trout ($4.50), halloumi ($2.50), mushroom ($2.50), roast tomato ($2.50). We opt for the bacon and it’s more than enough to satisfy our hunger. 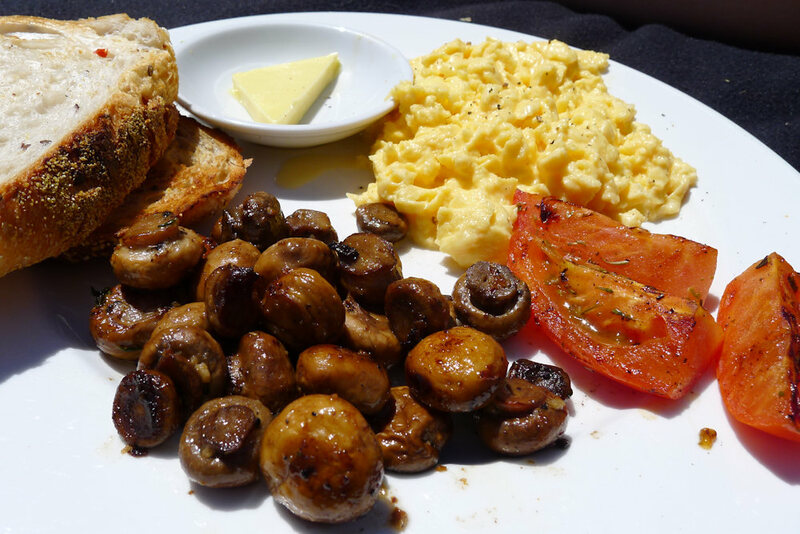 The scrambled eggs, mushroom and roma tomatoes with sourdough ($10.50) is gobbled up quickly. The bread is toasted but still soft and easy to eat. The eggs are fluffy and delicious and go well with the mushies and lightly grilled tomatoes. 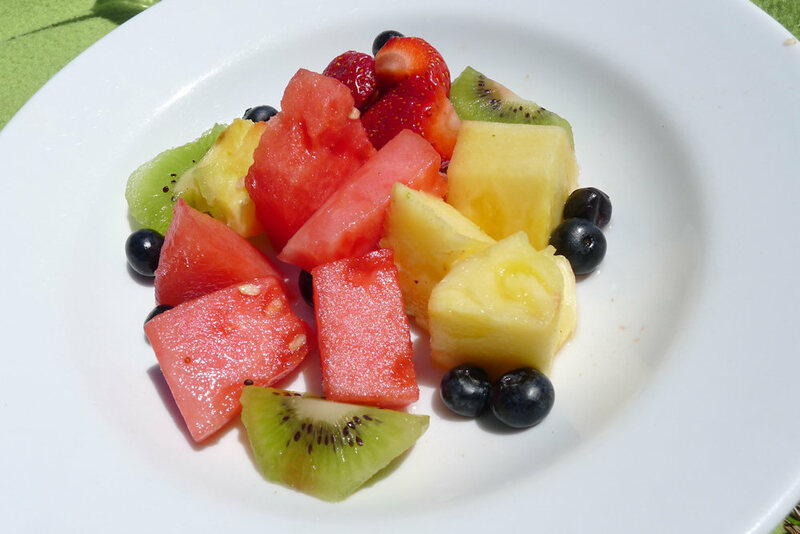 The fresh fruit bowl ($9) features a selection of in-season fruit (in our case blueberries, watermelon, kiwi, pineapple and strawberries). There is nothing standout about the dish but it delivers what is promised. 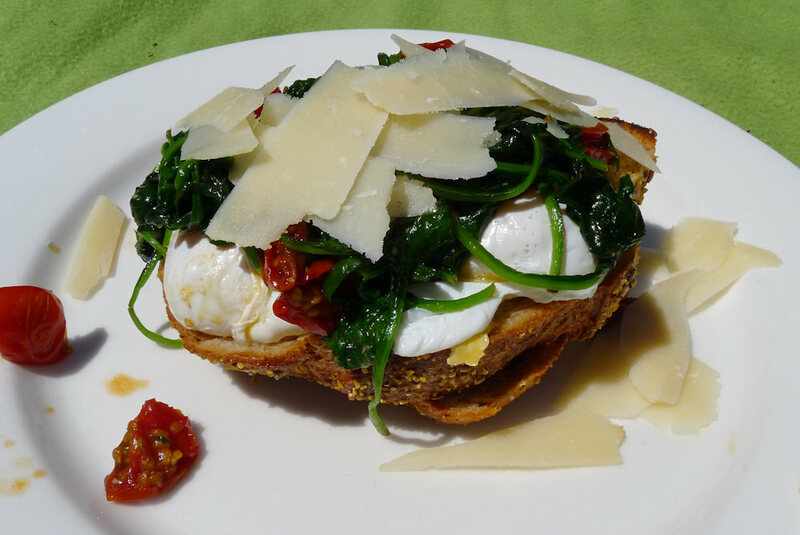 Yet another great dish arrives consisting of poached eggs, spinach, cherry tomatoes, pecorino and sourdough ($13.50). The spinach has a light balsamic flavour and we don’t hear a peep out of our guest as she munches away on it. 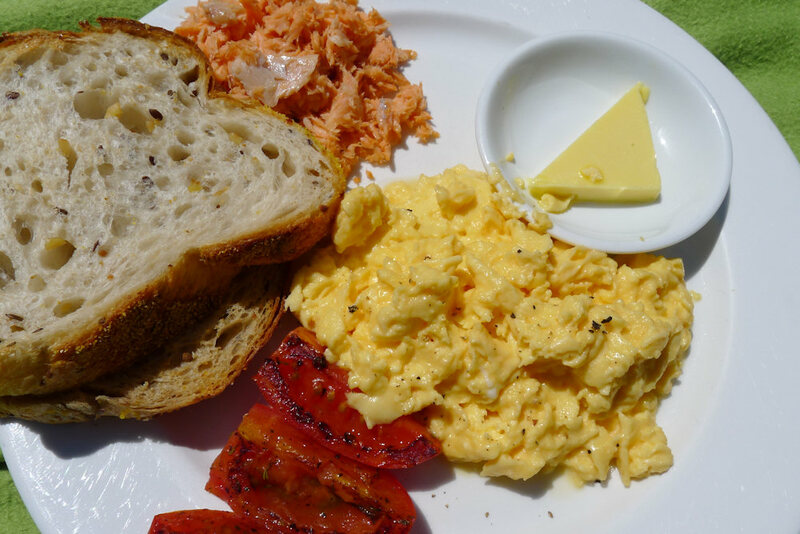 Another simple yet scrumptious serving comes in the form of the scrambled eggs with smoked trout and roma tomatoes ($15.50). STORE covers all bases and serves one slice of bread toasted and one fresh. The trout contains not one bone (which we were initially worried about) and the entire dish is kept warm thanks to the sun while we devour the fruit bowl. The scrambled eggs are prepared well and this altogether makes for a satisfying meal. If you can’t decide what to have, order the breakfast plate ($11.50). 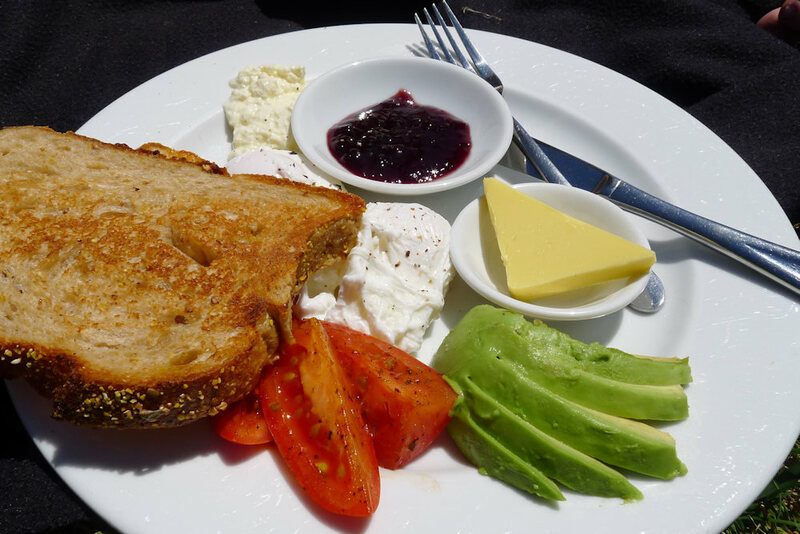 It contains both sweet and savoury options of poached eggs, avocado, ricotta, tomato, jam and sourdough. This dish is an entire meal in one and ingredients can be mixed and matched to your liking. 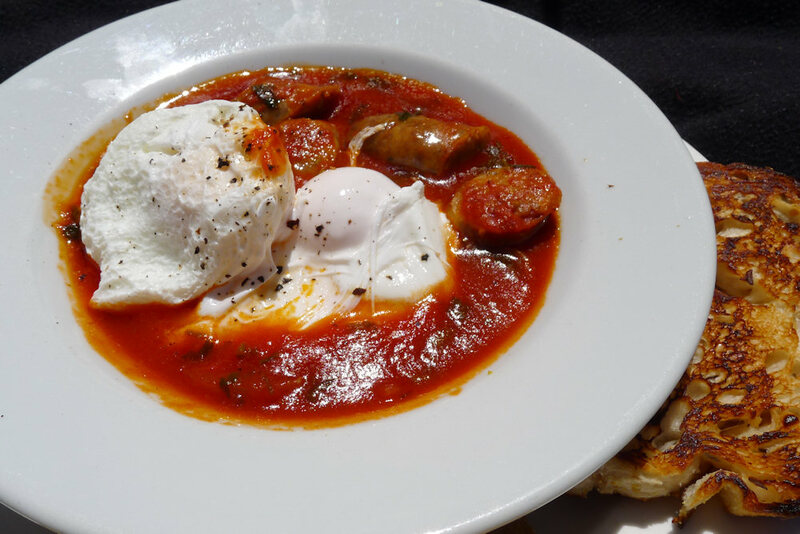 Lastly the poached eggs with fennel sausage, slowly cooked tomato sauce and sourdough ($13.50) arrives. The fennel taste is subtle and the tomatoes rich and smooth. Like the other dishes it is generous in size and very satisfying. 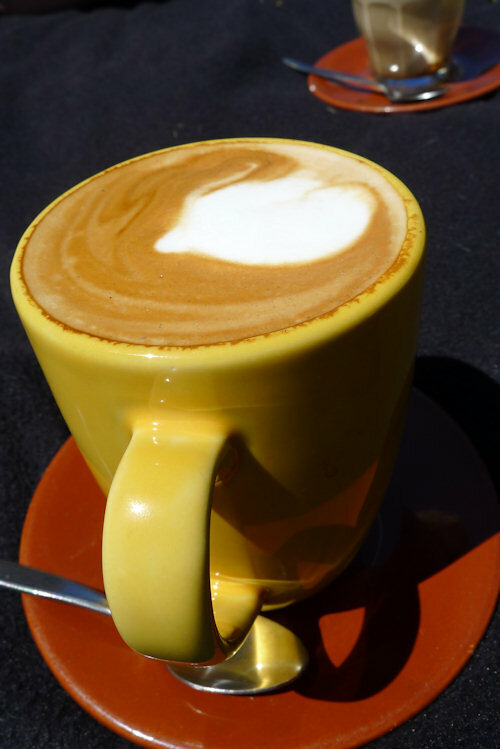 We could easily stay on for lunch at STORE Expresso. The atmosphere is relaxed and friendly and we don’t want to leave. There are a few picnic tables around the park if sitting on the ground for breakfast isn’t your thing. They also have a great range of sweets and treats which you can nibble on with a coffee between meals. We recommend bringing sunscreen and hats because if you’re sitting outside it’s easy to stay for hours. 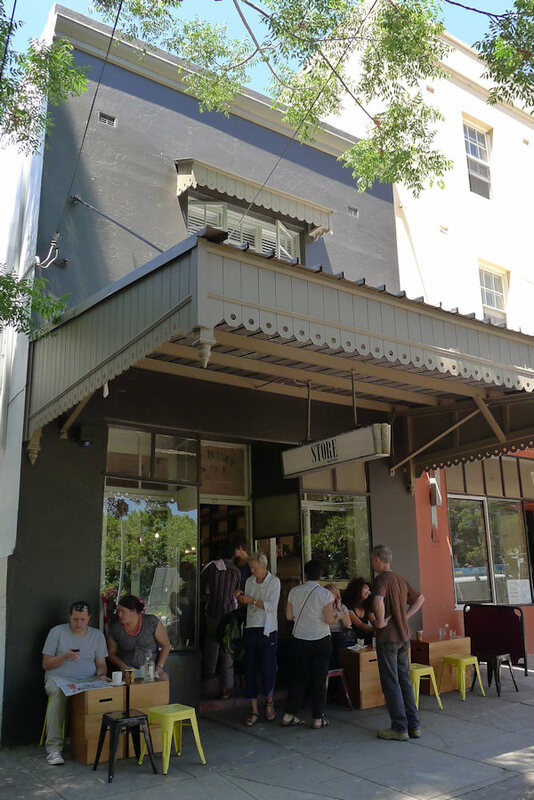 This entry was posted in Sydney - Inner West and tagged Dog friendly, Organic Options, Outdoor seating, Reasonable prices. Bookmark the permalink. Store is a favourite. Happy you liked it too! Great, informative review. Don’t tell too many people!